As a result of habitat loss, hunting and capture for the pet trade, spider monkeys are considered to be endangered. 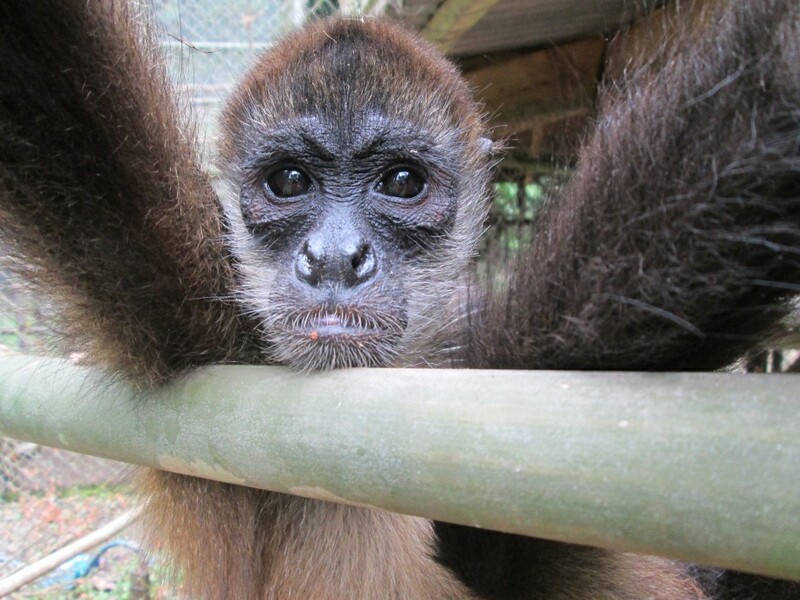 Geoffroy's spider monkey disappeared from some areas where it was once common. Spider monkeys are intelligent primates. Ginger was confiscated by the Minaet (Min. of the environment y energia), with the help of 8 coast guards from the area of Limon 2000. 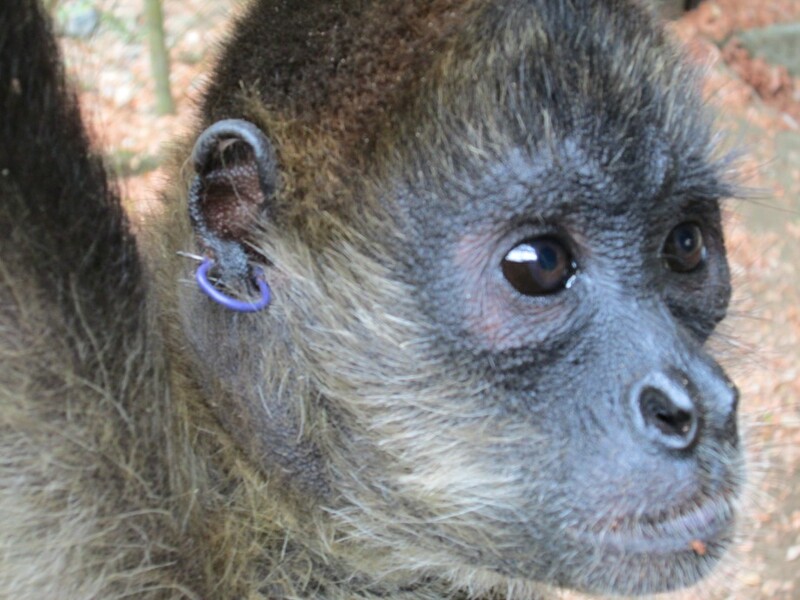 Ginger was abused as a pet; she was living on a small chain. She arrived to Tree of Life with an earring. They had her ear pierced so she could wear an earring. Ginger was stolen from her mother as a baby so she could become a pet! 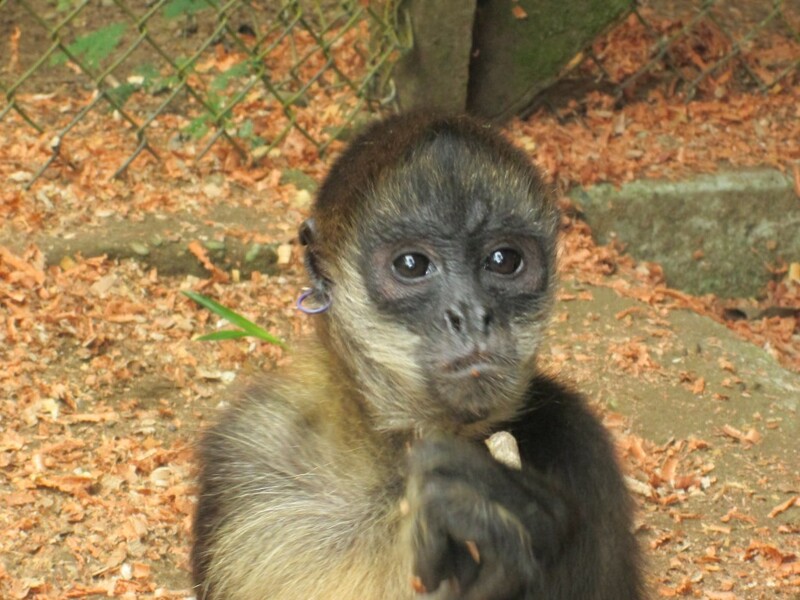 Spider monkeys do not make good pets. Very cute when they are a baby, but when they are grown up, they become unmanageable. They are ment to live in the top part of the jungle canopy.